This is a list of Roman Catholic seminaries in the world, including those that have been closed. By the 2012 Pontifical Yearbook, the total number of candidates for the priesthood of the world is 118,990 at the end of the year 2010. These students are in 6,974 seminaries around the world; 3,194 diocesan seminaries and 3,780 religious seminaries. St. John Vianney Seminary, Barkin Ladi- Established in January 1958 by the late Right Rev. Dr. John Reddington for the Roman Catholic Archdiocese of Jos. Bigard Memorial Seminary, Enugu - A provincial seminary for the Onitsha ecclesiastical province, established in 1950. There are several Seminaries in Uganda divided into three; Junior, Minor and Major seminaries. Argentina has 32 major seminaries. Seminario Mayor San luis, Cochabamba. By the 'Organización de Seminarios Latinoamericanos' (OSLAM), there are 429 seminaries in Brazil. The following list is by leading Ecclesiastical Provinces. Colombia has 50 major seminaries. There are 66 seminaries in Mexico. This list is by main Ecclesiastical Provinces. Regina Cleri Seminary (Ponce, Puerto Rico) – Diocesan seminary for the Diocese of Ponce, Puerto Rico. According to the 2010 Official Catholic Directory, as of 2009 there are 189 seminaries with 5,131 students in the United States; 3,319 diocesan seminarians and 1,812 religious seminarians. By the official 2011 statistics, there are 5,247 seminarians (3,394 diocesan and 1,853 religious) in the United States. Dominican School of Philosophy and Theology (Berkeley) - Run by the Dominican Friars; opened in 1964. Franciscan School of Theology (Oceanside) - Run by the Franciscan Friars; opened in 1854. Immaculate Conception Apostolic School (Colfax) - Was run by the Legionaries of Christ but closed in 2011. Jesuit School of Theology of Santa Clara University (Berkeley) - Run by the Society of Jesus; opened in 1969. Juan Diego House (Gardena) - Archdiocesan seminary. St. Anthony Seminary & College (Santa Barbara) - Run by the Franciscan Friars; opened in 1901. St. John's Seminary (Camarillo) - Archdiocesan seminary; opened in 1939. Formerly operated by the Congregation of the Mission from 1939 to 1987. St. Patrick Seminary (Menlo Park) - Archdiocesan seminary; opened in 1898. St. Peter Chanel Seminary (Berkeley) - Run by the Marist Fathers. St. Joseph's College (Mountain View) - Run by the Sulpicians; opened in 1924, closed in 1989 after extensive damage caused by the Loma Prieta earthquake. Blessed Junipero Serra House of Formation (Grand Terrace, California) - Run by the Diocese of San Bernardino; opened in 1995. St. John Vianney Seminary (Denver) - Archdiocesan seminary; opened in 1999. Opened at the site of the former St. Thomas Seminary operated by the Congregation of the Mission from 1907 to 1995. Redemptoris Mater Seminary (Denver) - Archdiocesan missionary seminary consisting of vocations from the Neocatechumenal Way; opened in 1996. Holy Apostles Seminary (Cromwell) - Diocesan seminary; opened in 1960. Formerly run by the Missionaries of the Holy Apostles. Novitiate and College of Humanities of the Legionaries of Christ (Cheshire) - Seminary currently run by the Legionaries of Christ. St. John Fisher Seminary Residence (Stamford) - Diocesan seminary; opened in 1989. St. Thomas Seminary (Bloomfield) - Archdiocesan seminary; opened in 1897. Blessed John Paul II Seminary - Archdiocese of Washington; opened in 2011. Dominican House of Studies - Run by the Dominican Friars; opened in 1905. Redemptoris Mater Seminary - Archdiocesan missionary seminary consisting of vocations from the Neocatechumenal Way; erected 2001. Theological College - Run by the Society of St. Sulpice; opened in 1917. Washington Theological Union - Sponsored by seven religious communities; opened in 1968, closing 2013. St. Vincent de Paul Regional Seminary (Boynton Beach) - Diocesan seminary; founded in 1963. Redemptoris Mater Seminary (Miami) - Archdiocesan missionary seminary consisting of vocations from the Neocatechumenal Way; opened 2011. Catholic Theological Union (Chicago) - Run by twenty-four various religious institutes; opened in 1968. University of Saint Mary of the Lake (Mundelein) - Archdiocesan major seminary; opened in 1921. St. Joseph College Seminary (Chicago) - the college seminary for the Archdiocese of Chicago; opened in 1961 with the name Niles College Seminary and renamed and moved to its current location in 1994. Bishop Simon Bruté College Seminary (Indianapolis) - Archdiocesan seminary; opened in 2004. Moreau Seminary (Notre Dame) - Run by the Congregation of Holy Cross; opened in 1958. Old College, University of Notre Dame (Notre Dame) - Undergraduate seminary of the Congregation of Holy Cross; opened in 1843. Sacred Heart Apostolic School (Rolling Prairie) - Run by the Legionaries of Christ; opened in 2005. Saint Meinrad School of Theology (St. Meinrad) - Run by the Benedictine Monks; opened in 1857. St. Pius X Seminary at Loras College (Dubuque) - Archdiocesan seminary; opened in 1839. Notre Dame Seminary (New Orleans) - Archdiocesan seminary; opened in 1923. St. Joseph Seminary College (St. Benedict) - Run by the Benedictine Monks; opened in 1891. Fulton Sheen House of Formation (Chillum) - Run by the Institute of the Incarnate Word; opened in 1998. Mount St. Mary's Seminary (Emmitsburg) - Archdiocesan seminary; opened in 1808. St. Mary's Seminary (Baltimore) - Archdiocesan seminary; opened in 1791. Pope St. John XXIII National Seminary (Weston) - Archdiocesan seminary for adult vocations; opened in 1964. Our Lady of Grace Seminary (Boston) - Run by the Oblates of the Virgin Mary; opened in 1978. Redemptoris Mater Seminary (Chestnut Hill) - Archdiocesan missionary seminary consisting of vocations from the Neocatechumenal Way; erected 2005. St. John's Seminary (Boston) - Archdiocesan seminary; opened in 1884. Sacred Heart Major Seminary (Detroit) - Archdiocesan seminary; opened in 1919. Ss. Cyril & Methodius Seminary (Orchard Lake) - National seminary for Polish immigrants; opened in 1885. Blessed Jose Sanchez del Rio Minor Seminary (Mankato) -High school seminary run by the Institute of the Incarnate Word; opened in 2008. Immaculate Heart of Mary Seminary (Winona) - Diocesan seminary; opened in 1948. Saint John’s School of Theology∙Seminary (Collegeville) - Saint John's School of Theology∙Seminary; opened in 1857 as Saint John's Seminary. Saint Paul Seminary School of Divinity (St. Paul) - Archdiocesan seminary; opened in 1894. Conception Seminary College (Conception) - Run by the Benedictine Monks; opened in 1886. Kenrick–Glennon Seminary (Shrewsbury, St. Louis County) - Run by the Archdiocese of Saint Louis; founded in 1898. St. Mary's of the Barrens Seminary (Perryville) - Run by the Congregation of the Mission; operated 1818-1995. St. Vincent's Seminary (Cape Girardeau) - Run by the Congregation of the Mission; operated 1838-1979 as a minor seminary. Our Lady of Guadalupe Seminary (Denton) - Run by the Priestly Fraternity of St. Peter; opened in 2000. Immaculate Conception Apostolic School (Center Harbor) - Minor Seminary run by the Legionaries of Christ; opened in 1982, closed in 2015. Immaculate Conception Seminary School of Theology (South Orange) - Founded in 1860 and part of Seton Hall University. Redemptoris Mater Seminary (Kearny, New Jersey) - Archdiocesan missionary seminary consisting of vocations from the Neocatechumenal Way; opened in 1991. Undergraduate and graduate theological studies take place at Seton Hall University. Blessed John Neumann Preparatory Seminary (Wayne, New Jersey) - Diocesan minor seminary founded in 1965; became co-ed college prep with name changed to Neumann Prep in the late 1970s; closed 1990. Christ the King Seminary (East Aurora) - Diocesan seminary; formerly run by the Franciscan Friars (1857–1990); previously located in Olean (1857–1974). Seminary of the Immaculate Conception (Huntington) - Bi-diocesan seminary; opened in 1926 for Diocese of Brooklyn and expanded to Diocese of Rockville Centre after diocese was established in 1957. Due to a restructuring of the seminary formation program for the Greater New York Area (the Archdiocese, Brooklyn, and Rockville Center), this seminary will close at the end of the 2011-2012 academic year and the house will be combined with St. Joseph's Seminary, in Dunwoodie. St. Joseph's Seminary (Dunwoodie) - Archdiocesan seminary; opened in 1896. For the 2012-2013 academic year, St. Joseph's Seminary will be the newly combined site for major seminary formation for the Greater New York Area (the Archdiocese, Brooklyn, and Rockville Center). St Joseph College Seminary (Charlotte) - Diocesan Minor Seminary located on the Campus of Belmont Abbey College by the Diocese of Charlotte and assisted by the Benedictine Monks of Belmont Abbey; opened in 2016. Cardinal Muench Seminary (Fargo) - Diocesan seminary; opened in 1962 and scheduled to close in June 2011; Sold in June 2013. Borromeo College Seminary (Cleveland) - Diocesan seminary; opened in 1953. Mount Angel Seminary (St. Benedict) - Run by the Order of Saint Benedict; opened in 1889. Saint Charles Borromeo Seminary (Philadelphia) – Archdiocesan seminary; opened in 1832. The current Theological Building was completed in 1871. St. Paul Seminary (Pittsburgh) – Diocesan seminary for the Diocese of Pittsburgh. St. Vincent Seminary (Latrobe) – Diocesan seminary; Benedictine affiliated; opened in 1855. St. Mark Seminary (Erie) - Diocesan seminary. Our Lady of Providence Seminary (Warwick) - Diocesan seminary; opened in 1942. Assumption Seminary (San Antonio) - Archdiocesan seminary; established in 1915. Holy Trinity Seminary (Irving) - Diocesan seminary; established in 1964. Oblate School of Theology (San Antonio) - Run by the Oblates of Mary Immaculate; opened in 1903. St. Anthony Junior Seminary (San Antonio) - Run by the Oblates of Mary Immaculate; operated from 1905 to 1995. Taken over by the University of the Incarnate Word in 1995. St. Charles Seminary (El Paso) - Diocesan seminary. St. Mary Seminary (Houston) - Archdiocesan seminary. Redemptoris Mater Seminary (Dallas) - Diocesan missionary seminary consisting of vocations from the Neocatechumenal Way. Sacred Heart Seminary and School of Theology (Hales Corners) - Run by the Priests of the Sacred Heart; opened in 1932. St. Anthony Friary and Seminary (Marathon), Operated by the Capuchin Friars , opened in 1919, closed as a house of studies in 1970. Saint Francis de Sales Seminary (Milwaukee) - Archdiocesan seminary; opened in 1845. St. Lawrence Seminary High School (Mount Calvary) - Run by the Capuchin Friars; opened in 1860. Good Shepherd Seminary - established at Homebush in 1996 by then Cardinal Edward Bede Clancy, is the seminary of the Archdiocese of Sydney, as well as NSW and ACT. Holy Spirit Seminary, Parramatta - established at St Mary's in the Diocese of Parramatta by Bishop Kevin Manning in 2008. Redemptoris Mater - seminary of the Archdiocese of Sydney for the Neocatechumenal Way. St Patrick's College - opened in 1889, was located at Manly. The seminary closed in 2005. Vianney College - established in Wagga Wagga by Bishop William Brennan in 1992. Pius XII Privincial Seminary, Brisbane - closed 2001. St Francis Xavier Seminary, Adelaide - closed 2001. Corpus Christi College - established at Werribee in 1923 by Archbishop Daniel Mannix for the dioceses of Victoria, and later Tasmania as well. Moved to Glen Waverley in 1960, then to Clayton in 1973 and presently to Carlton in 2000. Redemptoris Mater - seminary of the Archdiocese of Perth for the Neo-Catechumenal Way. St. Charles Borromeo Seminary - established by Archbishop Barry James Hickey for the West Australian dioceses. Redemptoris Mater (seminary) (Guam) - Archdiocesan missionary seminary consisting of vocations from the Neocatechumenal Way. Jnana-Deepa Vidyapeeth Pontifical Institution of Philosophy and Religion, Pune - Founded in 1905 and run by Jesuits. Papal Seminary Pune - run by Jesuits. Good Shepherd College - Auckland, founded in 2001. Holy Cross Seminary - Founded in Dunedin in 1900, relocated to Auckland in 1997. National Seminary for the six dioceses of New Zealand. Holy Name Seminary - established in Christchurch, New Zealand in 1947; closed at the end of 1978 (was staffed by the Society of Jesus). St Mary's Seminary - established in 1850 by New Zealand's first Catholic Bishop, Jean Baptiste François Pompallier and closed in 1869 when Pompallier left the country. The Marist Seminary - for the training of Marist priests. It was first opened in 1889 in Hawkes Bay and was relocated to Auckland in 1992. Holy Name of Mary Seminary, Tenaru, Guadalcanal Province. Inter-diocesan seminary founded in 1995. At the end of the year 2011, there are 7 major seminaries in Korea; and the number of seminarians in these seven seminaries is 1,587 — from diocesan 1,317, religious & missionary 270. College of Theology, Catholic University of Korea - founded in 1855, currently located on the Songsin campus of Seoul; 'Songsin' means Holy Spirit in Korean. There are 8 major seminaries with 1,480 students in Vietnam. St Patrick's College, Maynooth - national seminary for Ireland, established in 1795. St Malachy's College, including St. Joseph's Seminary, is diocesan seminary for the Diocese of Down and Connor. All Hallows College was founded in 1842 for training priests for foreign dioceses. Closed in 2015. St. Brendan's College, Killarney - secondary school founded in 1860 which also prepared seminarians for the priesthood. Clonliffe College (Holy Cross College), for the Archdiocese of Dublin was founded in 1859, opened in 1861 and closed as a seminary in June 2000. Mungret College, Limerick, was a Limerick diocesan seminary until 1888 and a Jesuit school from 1882 until 1974. St Finbarr's College, Farranferris, Cork, was the minor seminary for the Diocese of Cork and Ross, it closed in 2006. St. Finian's College was founded in Navan as the Meath Diocesan College in 1802. It is now a boys secondary school. St. John's College, Waterford, founded in 1807, was exclusively for seminarians of the Waterford and Lismore Diocese from 1873 until June 1999. St Kieran's College, Kilkenny, was founded in 1782, priestly formation was discontinued in 1994. St. Patrick's, Carlow College was founded in 1782, opened in 1793. From 1892 it was only a seminary. In the 1990s, priestly formation was discontinued. St. Patrick's College, Thurles opened in 1837, exclusively a seminary from 1907 to 1988, ceased to function as a seminary in 2002. St Peter's College, Wexford was founded in 1811, seminary closed in 1999. St Vincent’s Seminary, Cork once trained priests, later became a secondary school. Franciscan Novitiate, Killarney, Co. Kerry. Built in 1860, students were then sent to St. Anthony's in Galway. St Anthony's College, Newcastle, Galway. Former Franciscan seminary, buildings now used by NUI Galway. Belmont House, Stillorgan, Dublin. Novitiate of the Oblates, originally founded near Glenmary, near Delgany in Co. Wicklow, moved in 1863. Belcamp Hall, Raheny, was the juniorate of the Missionary Oblates of Mary Immaculate. Moyne Park, Abbeyknocknoy, Ballyglunin, Co. Galway, in 1909 opened as a Camillian hospice, a seminary for the Missionaries of the Sacred Heart in 1936, closed in the early 1970s. was the home of Declan Ganley, Donovan and George MacBeth until his death in 1992. Dalgan House, Shrule, Co. Mayo. Built in 1801, and bought by the Duke of Bedford in 1853, it was a seminary for the Columbans in 1918 until 1941. It is now demolished. St Columbans College, Dalgan Park, Navan, was the seminary of the Columbans after 1941. St Patrick's, Donamon Castle, Co. Roscommon. Novitiate of the Divine Word Missionaries, opened 1939, closed in 1980. Kilshane, Co. Tipperary. Novitiate of Holy Ghost Fathers (the Spiritians), was purchased in August 1933 and opened as a Novitiate for both clerics and brothers. Kimmage Manor, Co. Dublin. Formation house of the Holy Ghost Fathers (the Spiritians) for those going on to Kilshane. Legion of Christ Novitiate, Leopardstown Road, Foxrock, Dublin. In April 1960, it opened in Bundoran, County Donegal. On 3 June 1962, it moved to Hazelbrook House, Malahide, to Foxrock in 1968 and closed in September 2011. Kinury, near Westport, Co. Mayo, was given to the Society of African Missions (SMA) in 1914 by Miss Sofia Crotty. It was used as a novititate and closed in 1924. Cloghballymore House, Ballinderreen, Kilcolgan, Co. Galway, was a tower house, then a country estate. In 1906, Count Llewellyn Blake owned it and gave it to the Society of the African Missions and was their novitiate from 1924 until the mid 1970s. Since 1981, it has been a nursing home. Ballinafad Minor Seminary was also given by Count Llewellyn Blake to the Society of the African Missions, operated until 1975 and was linked to Cloghballymore House. St Joseph's Seminary, Blackrock Rd, Cork. The original seminary of the Society of the African Missions, later transferred to Dromantine House. Dromantine House, Newry Co. Down, was a seminary of the Society of the African Missions from 1926 until 1972. St Augustine's College (Loughan House), Blacklion, Co. Cavan. Novitiate of the White Fathers from September 1955 and closed in 1970. Coláiste Mhuire, Marino, Dublin. Teacher Training Centre of the Irish Christian Brothers. St. Helen's, Booterstown, Dublin. Headquarters and novitiate of the Irish Christian Brothers, 1925 until 1988. Now a hotel. The Abbey, Loughrea, Co. Galway. Since 1645, it had a community of Discalced Carmelites, and trained novices since 1664. In 1882, a new novitiate was constructed, and extended in 1934. The novitiate is closed, but a community remains. Castlemartyr, Co. Cork, in 1930, had a Discalced Carmelite juniorate. It closed in 1996 and is now a hotel. Loughrea, Co. Galway, contained a novitiate of the De La Salle Brothers, which was active into the 1980s. Faithlegg House, Co. Waterford. In 1935, it was sold to the De La Salle religious institute by the Power family. It was a novitiate until the 1980s. It is now Faithlegg House Hotel. St Stanislaus College, Tullabeg, Tullamore. This was the novitiate of the Jesuits in Ireland until the move to Emo Court in 1930. St Mary's, Emo Court. Novitiate for the Society of Jesus in Ireland from 1930 to 1969. Manresa House, Dollymount, Dublin. After Emo Court, it was novitiate of the Irish Jesuits from 1969 to 1991. It now has the English-speaking Tertianship for Europe. Milltown Institute of Theology and Philosophy formed out of the Jesuit Theology Faculty, with the National University of Ireland validating its academic programmes. St Patrick's, Esker, Athenry, Co. Galway. Established on 18 August 1901 and until 1936 it was the Redemptorist Irish Province major seminary. From 1948 until 1969 it was the novitiate. In 1971, it became a retreat house. Cluain Mhuire, Galway, was a Redemptorist seminary, closed in the 1970s. Pallotine College Thurles, Co. Tipperary. Founded by the Pallotines in 1907, from 1909 to 1986 priests from the college would have studied at the nearby St. Patrick's College, Thurles. St Gabriel's, The Graan, Enniskillen, Co. Fermanagh. Novitiate of the Passionists, 1909–1976, is now a nursing home, although a community of Passionists remain onsite. Tobar Mhuire, Crossgar, Co. Down, (formerly Crossgar House). From 1950 until 1976, was the Passionist Juniorate, then a novitiate and as of February 2010, it is a Retreat and Conference Centre. St Paul's Retreat, Mount Argus, Dublin, was the Irish Passionist headquarters, and provided the final two years of formation for Passionist seminarians. Tanagh, Cootehill, Co. Cavan. Former Congregation of the Sacred Hearts of Jesus and Mary novitiate and seminary, now an outdoor education centre, and religious community remain. Mount St Marys, Milltown, Dublin. Seminary of the Marist Fathers. The site is now a Montessori College and the Irish Marist administrative headquarters. The list includes some seminaries by principal Ecclesiastical Provinces. Pontifical North American College - founded in 1859, located in Rome; the North American College was granted pontifical status placing it under the special patronage of the Apostolic See and the care of the Pope. The college, therefore, is the direct concern of the Congregation for Catholic Education and is under the immediate supervision of the United States Conference of Catholic Bishops. The Center for Higher Studies is run by the Legion of Christ for its own members. 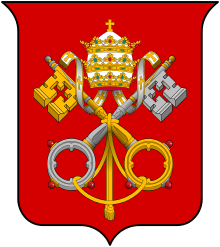 The Pontifical Scots College Founded 5 December 1600 by Pope Clement VIII. Vilnius St. Joseph Seminary - For the dioceses of Vilnius, Panevėžys and Kaišiadorys. St. Eystein presteseminar, Oslo. Established March 1, 2006. Roman Catholic Diocese of Oslo. Seminary of the Wisdom Incarnate in Alba Iulia, founded in 1753, serving the Archdiocese of Alba Iulia and the Dioceses of Satu Mare, Oradea and Timişoara. Seminary of St. Joseph in Iaşi, founded in 1886, for the Diocese of Iaşi and the Archdiocese of Bucharest. Slovakia has 5 seminaries with 240 students in 2010. St Mary's College, Oscott - The seminary of the Province of Birmingham. St John's Seminary, Wonersh - The seminary of the Province of Southwark. Allen Hall Seminary, London - The seminary of the Province of Westminster. Redemptoris Mater House of Formation, London - within the structure of Allen Hall, for the Neocatechumenal Way. Scotus College, became the National Seminary for Scotland in 1993, closed in 2009. St Peter's Seminary, Cardross, replaced St Peter's College, Bearsden, closed in 1980. St Vincent College, Langbank, a minor seminary from 1961 to 1978. ↑ "St.Charles Lwanga Seminary". Seminary.iway.na. Retrieved 2016-12-04. ↑ "Panoramio - Photo of Seminario mayor San Jose, Quito, Ecuador". panoramio.com. ↑ "Master of Divinity - Priesthood Studies â€" School of Theology and Seminary". Csbsju.edu. Retrieved 2016-12-04. ↑ "St. Joseph College Seminary - Belmont Abbey College: Private | Catholic | Charlotte, NC". Belmontabbeycollege.edu. Retrieved 2016-12-04. ↑ "History of St. Anthony's". St. Anthony's Spirituality Center. ↑ "Holy Cross Seminary". holycrossseminary.com. ↑ "San Agustin Center of Studies". sacs-stvi.org. ↑ "OCEANIA/SOLOMON ISLANDS -Appointment of the Rector of the "Holy Name of Mary" Seminary in Honiara". News.va. Retrieved 2016-12-04. ↑ "St Francis Xavier Major Seminary". sfxms.org.sg. ↑ "대구가톨릭대학교". Cu.ac.kr. Retrieved 2016-12-04. ↑ "::부산가톨릭대학교::". Cup.ac.kr. Retrieved 2016-12-04. ↑ ":: 대전가톨릭대학교 홈페이지에 방문하신것을 환영합니다. ::". Dcatholic.ac.kr. Retrieved 2016-12-04. ↑ "Incheon Catholic University Homepage". Iccu.ac.kr. Retrieved 2016-12-04. ↑ "Л┬≤Л⌡░Й╟─М├╗К╕╜К▄─М∙≥Й╣░". Suwoncatholic.ac.kr. Retrieved 2016-12-04. ↑ "Grootseminarie Brugge". Grootseminariebrugge.be. Retrieved 2016-12-04. ↑ "Séminaire de Tournai - Séminaire". seminaire-tournai.be. ↑ "Diocèse de Liège - Présentation". Liege.diocese.be. Retrieved 2016-12-04. ↑ "Séminaire Notre-Dame de Namur". Seminairedenamur.be. Retrieved 2016-12-04. ↑ Joseph Thirionet. "Catho.be: Séminaires". catho.be. ↑ "Priesterseminar Erfurt". priesterseminar-erfurt.de. 10 April 2015. ↑ "Archdiocese of Dublin". dublindiocese.ie. ↑ "Chapter 10 Education and Formation of Priests" (PDF). Bishop-accontability.org. Retrieved 2016-12-04. ↑ Smith, William L. (June 14, 2004). Irish priests in the United States: a vanishing subculture. UPA. p. 33. ISBN 978-0761828266. ↑ "Irish Priests in the United States". google.ie. ↑ "Once-dominant Catholic church in Ireland closes another seminary - WorldWide Religious News". wwrn.org. ↑ "NCRegister - Ireland Faces Shortage In Seminaries and Parishes". National Catholic Register. ↑ "The Ireland Funds - Home". Irlfunds.org. Retrieved 2016-12-04. ↑ "The naïve child who became Mr No". Independent.ie. ↑ "Ireland Old News". irelandoldnews.com. ↑ "CATHOLIC ENCYCLOPEDIA: Tuam". newadvent.org. ↑ Smyth, Michael V. "The Hierarchy and Religious". The Furrow. 21 (4): 216–226. JSTOR 27679072. ↑ "Literature Reference: American Literature, English Literature, Classics & Modern Fiction". jrank.org. ↑ Fr. Paul McAuley, C.S.Sp. "Home". spiritans.com. ↑ "About Us Archives - Kimmage Development Studies Centre". Kimmage Development Studies Centre. ↑ "Legionaries to close novitiate over lack of vocations". The Irish Times. 20 July 2011. ↑ Super User. "Welcome to the Society of African Missions website". sma.ie. ↑ "Advertiser.ie - Ballinafad College celebrates its centenary". Mayo Advertiser. ↑ "Dromantine Retreat And Conference Centre - History Of Dromantine". dromantineconference.com. ↑ "Waterford Hotels, Hotels in Waterford, Luxury Hotel Waterford, Faithlegg House Hotel Waterford". faithlegg.com. ↑ "Centre for Creative Arts and Media (CCAM)". gmit.ie. ↑ "Augustinians to sell Orlagh retreat in Rathfarnham for €2.5 million". Irishtimes.com\accessdate=2016-12-04. ↑ "St. Eystein presteseminar". katolsk.no. ↑ "Wyższe Międzydiecezjalne Seminarium Duchowne w Opolu Diecezji Gliwickiej i Opolskiej". wsd.opole.pl. ↑ Moderator. "Wydarzenia Seminaryjne". paradisus.pl. ↑ "Bem Vindo …". Seminário de Santa Joana Princesa. ↑ "Katolska prästseminariet". Prastseminariet.se. Retrieved 2016-12-04. 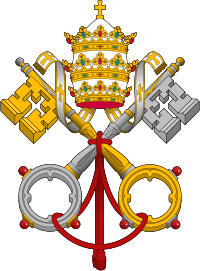 Wikimedia Commons has media related to Roman Catholic seminaries.